Conventional wisdom indicates that expense reduction results in lower service performance. Our experience suggests the opposite. While there are certainly expense reduction measures targeted at reducing service resources, in our experience, focus on process redesign invariably improves service while lowering expenses/unit costs. The principle driver of the correlation is SPINNAKER's focus on identifying and prioritizing streamlining opportunities, resulting in immediate returns for our clients. 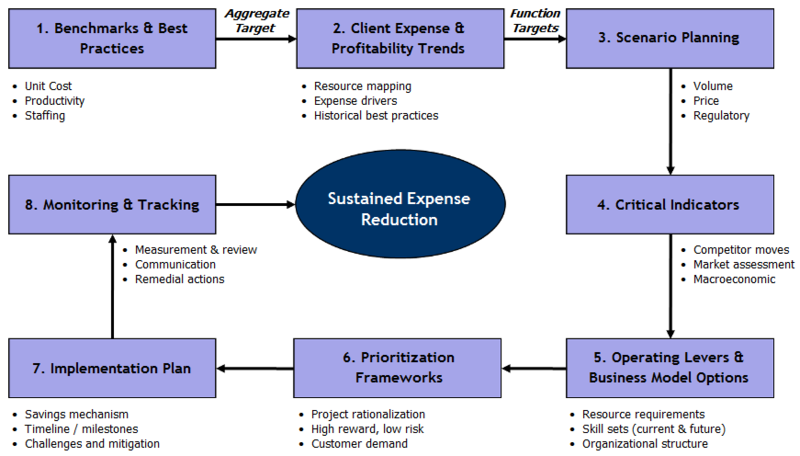 Click here to view abstracts of client projects in Expense Management.